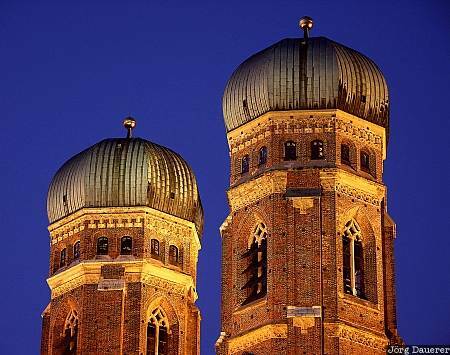 The famous towers of the Frauenkirche one of the most well-known landmarks of Munich after sunset illuminated by artificial light in downtown Munich in southern Germany. This photo was taken in October of 2002. This photo was taken with a digital camera.